Preheat oven to 450°F. Preheat the (8-10 inch) cast iron skillet in the oven. Heat 1 tablespoon of the oil in a medium sauté pan. 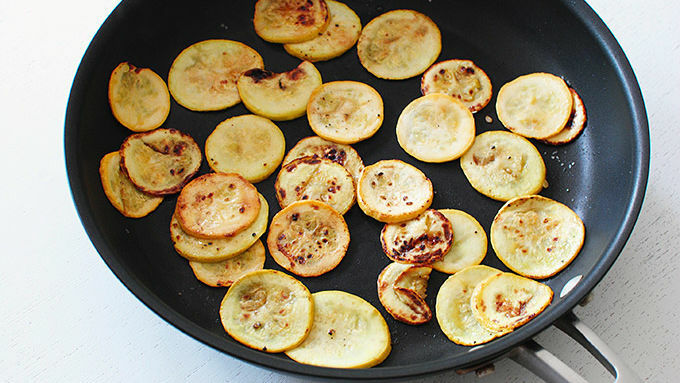 Add the sliced squash in batches and sauté until browned on both sides. Season with a small pinch of salt and pepper. 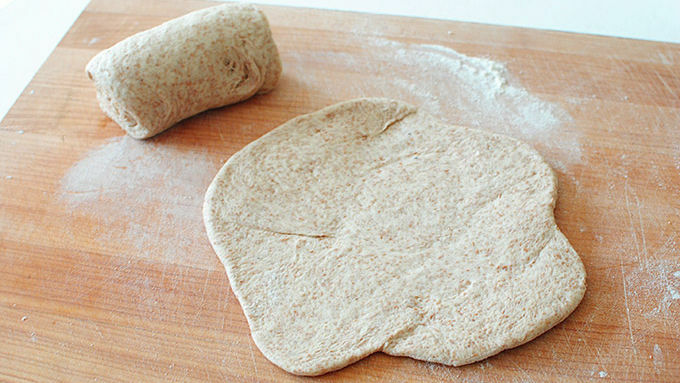 Roll out the pizza dough balls on a floured work surface until you get a rough 8-inch circle. Brush each ball with the remaining oil and place on the hot cast iron skillet (one at a time) and par-bake for five minutes. You can cook in a covered outdoor grill instead of in the oven! Preheat grill before cooking. If temperature is similar, cook times will be as well. 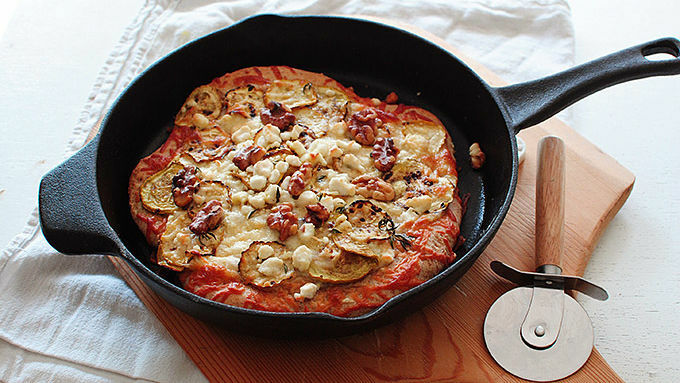 Pizza in a cast iron skillet. You'll feel so rustic! 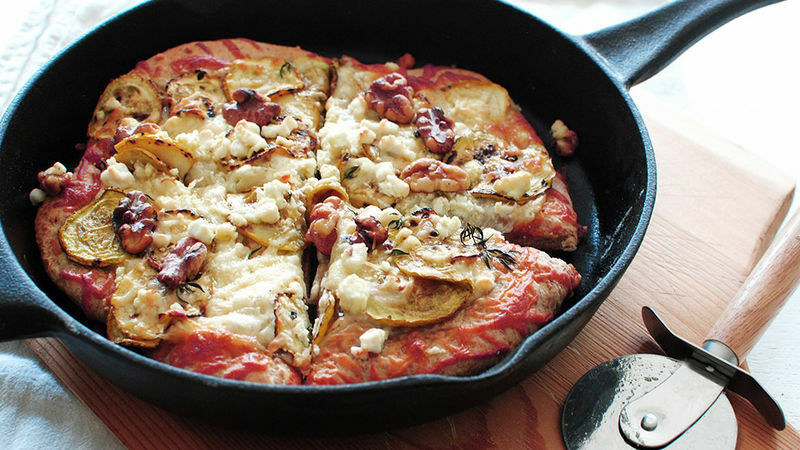 Not only will you feel super rustic, but this pizza is topped with goat cheese. And we all know what that means. We all know, right? Wait, what does it mean? Never mind. Goat cheese! AND it's topped with walnuts. Walnuts are brain food, ya know! They're shaped like a brain, too. I put halved walnuts on my pizza, so like half brains. Makes sense, doesn't it? Don't answer that. 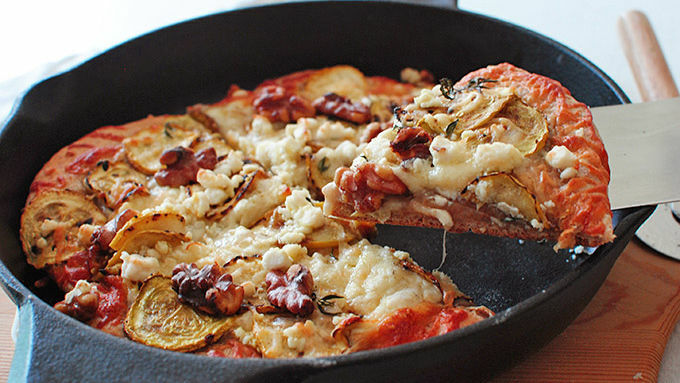 It's also topped with summer squash! The yellow kind. Little sautéed circles of summer glory. Gosh. It all cooks so evenly in that cast iron skillet. Then you slice. Then you eat all of it before anyone notices. Because that's rustic, too. Maybe. Pizza!